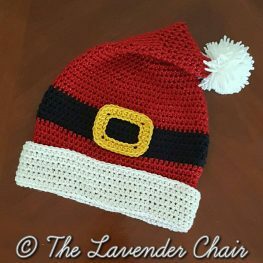 Whether you are looking for a Santa Hat to wear in the house for the Holidays, or a Santa Hat to wear outside in place of your beanie or toque, there are free patterns available for you to crochet! Choose your favorite design from the options below and click on the read more button to be taken right to the free pattern post. 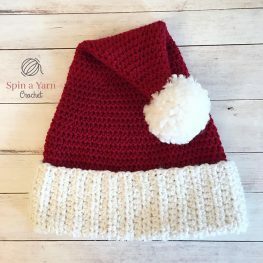 Grab your medium weight yarn  from your stash and whip up some Santa Hats for everyone in the family! 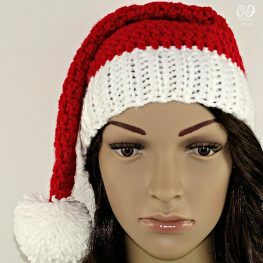 Make a Santa hat with DK Weight yarn to fit a 20 inch head circumference. 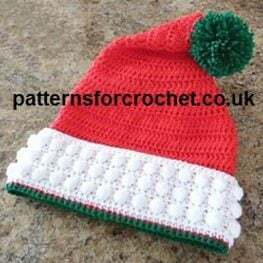 This festive design includes a lovely textured brim. 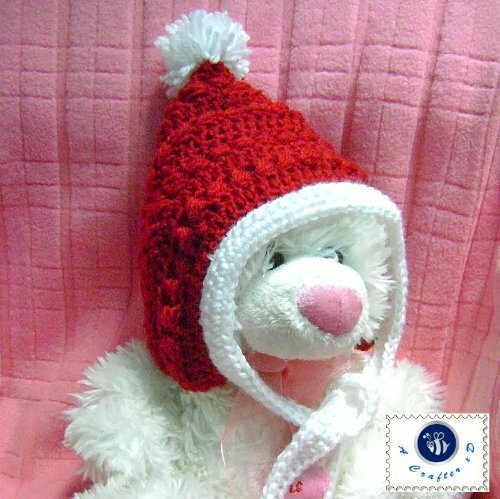 Make this cheerful adult size Santa Hat with medium weight yarn. 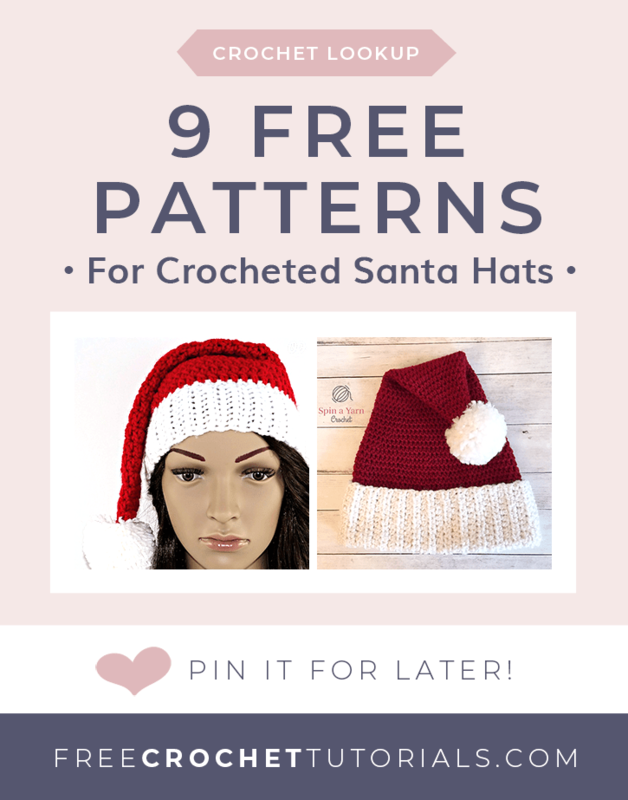 Crochet a Santa or Elf Hat with this free pattern. You will need medium weight  yarn and a 4 mm (G) hook. This pattern includes a video tutorial. This unique Santa Hat is available in an adult woman size only. The iconic Santa Claus belt buckle embellishes the front. 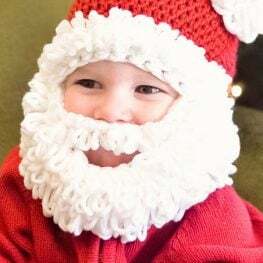 This bearded Santa Hat is available in multiples sizes from baby to adult! 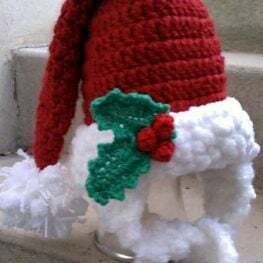 This adorable Santa Hat has earflaps too! Available in sizes baby to adult. This adorable Pixie Style Christmas Baby Hat is perfect for 3-6 month olds. This adorable Santa Hat with Beard is available in 2 child sizes. The finished hat measures 16 (18) circumference at the brim and the beard measures 10 inches by 2.5 inches long.